← Can PS4 Pro Media Player Support H.265/HEVC Playback? The DJI Phantom 4 Pro+ offers an enhanced video processing system allows video to be captured in cinema- and production- optimized DCI 4K (4096 x 2160) at 60 fps and a bitrate of 100 Mbps. The Phantom 4 Pro+ also supports the H.265 video codec at 30 fps in 4K resolution. 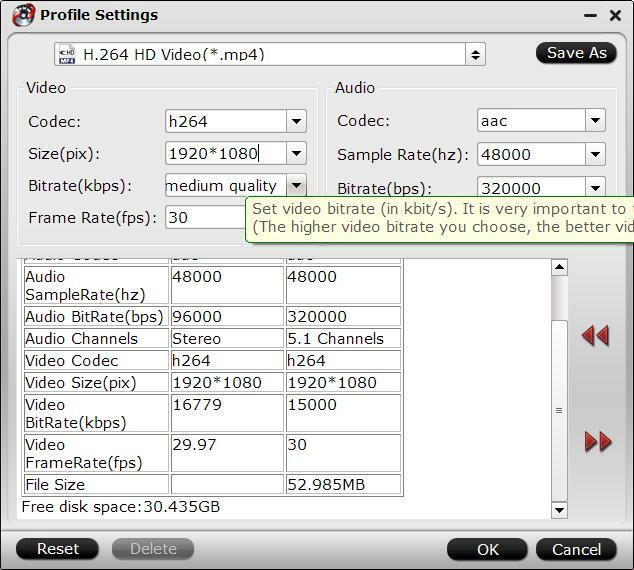 For a given bitrate, H.265 doubles the amount of image processing as H.264, resulting in significantly enhanced image quality from a more efficient compression. Record in the high dynamic range D-log mode to make the most of this image data for color grading. Why downscale DJI Phantom 4 Pro+ 4K to 1080p? The 4K video offers four times as many pixels as 1080p, therefore, you will get a smoother and clearer quality picture with more details. However, due to the large file size, complex compression codec, poor device and program compatibility and accessibility, we will often have the needs to compress DJI Phantom 4 Pro+ 4K video to 1080p for better playing on media players, handle devices, working into consumer or professional editing software or uploading on popular video sharing sites. It won’t be difficult for you to compress 4K to 1080p, however, if you wish to compress DJI Phantom 4 Pro H.265/H.264 to 1080p with no less quality loss, you will need a specific program to get the job completed. 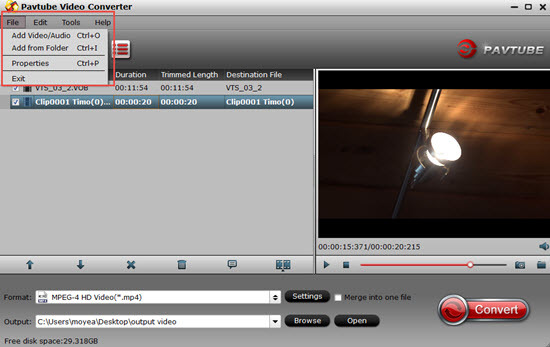 Here, we highly recommend Pavtube Video Converter (get Mac version) to you, the program has perfect input support for both 4K H.264 and 4K H.265 format. The biggest merits of this program lies in that it allows you to directly compress Phantom 4 Pro+ 4K H.264 to HD H.264 and Phantom 4 Pro+ 4K H.265 to HD H.265 without any codec transcoding. 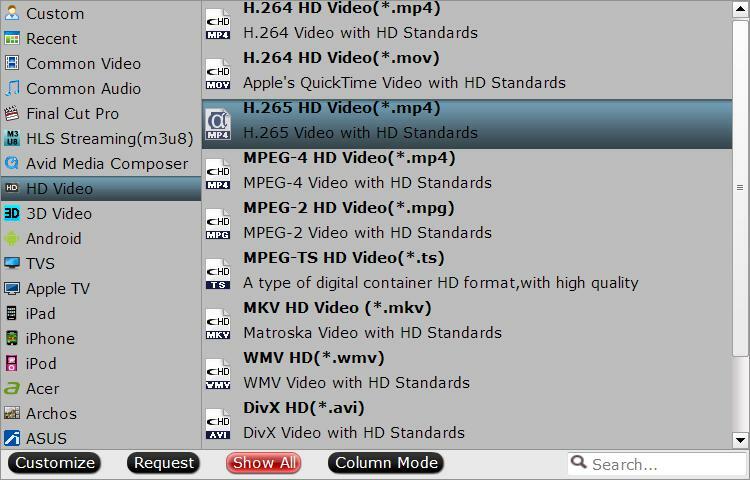 What you need to do is adjust the output file resolution from 4K to 1080p or 720p, all other video profile settings are not changed and the same as the original 4K video. After the compression process, you will get a good quality 1080p DJI Phantom video with smmal file size to smoothly play and edit DJI Phantom 4 Pro+ 4K video or upload and share DJI Phantom 4 Pro+ 4K on YouTube. Start the program on your computer, click “File” menu and select “Add Video/Audio” or “Add from folder” to import DJI Phantom 4 Pro+ 4K video. To downscale DJI Phantom 4 Pro+ 4K H.264 or H.265 to 1080p with no quality loss, just choose to output “H.264 HD Video(*.mp4)” or “H.265 HD Video(*.mp4)” from “HD Video” main category respectively. Click “Settings” icon on the main interface to open the “Profile Settings” window, from “Size(pix)” drop-down options, select “1920*1080 or “1080*720 to compress 4K to 1080p. After all settings are done, click right-bottom “Convert” button to begin to convert and compress DJI Phantom 4 Pro+ 4K H.264/H.265 video to 1080P or 720p H.264/H.265 file format. When the conversion is completed, you will have no problem to play, edit and share DJI Phantom 4 Pro+ video on both Windows and Mac.